Work for Vocabulary.com for G Suite? Learning about Vocabulary.com for G Suite? I love that with Vocabulary.com I can add a whole list of words that I want my students to know for any particular unit and the software does its thing, my students learn the words and are able to contribute to my class period as well as improve their grades. We have seen, as a school, a great increase of background knowledge and vocabulary building while using this software. I would love to be able to select a text within the software and it just already know what words per grade level. Many of the lists that are already made from other teachers have a strange mix of words and lexile levels so it is generally just easier for me to make my own lists for my students than edit what was already made. I would recommend anyone who like words or wants to improve their vocabulary to take some time on this software. It may be a bit pricey but in the long run it is worth the time and effort that you put into it. Vocabulary, particularly having an impressive vocabulary. is well worth any money or time you put into it. My students have drastically improved their test scores and class participation while using Vocabulary.com. The students have loved learning more words, competing with their classmates and gaining badges. I love to see them compete in the jams and see their faces light up when they earn a new achievement. I love that I can assign vocabulary lists with correct and multiple definitions with minimal input on my end. Perusing the lists I can tell that the definitions are accurate. I like that it has a competitive side which always brings out the best in students. I love that they added a game option, like Quizlet.live - this allows me to focus on one program as opposed to toggling between programs. Introducing vocabulary to students without using vocabulary cards is great. It also appears as a game to them, so they're more engaged and more apt to practice outside of class. What G Suite Academic solution do you use? "Great learning tool for vocabulary"
I like that my kids can be quizzed on their vocabulary both known and unknown. I love that my students can get on this program in their free time. They think they are playing games but are actually increasing their vocabulary knowledge. "great for students to track progress on new words"
You can see each students' progress and how well they're learning assigned vocabulary words. The free version does not let you see all students' progress. It only shows you the top 3 performers. Pay for the full software; it's much better than the free trial version. I am having a better focus on vocabulary words in my classroom. * We monitor all Vocabulary.com for G Suite reviews to prevent fraudulent reviews and keep review quality high. We do not post reviews by company employees or direct competitors. Validated reviews require the user to submit a screenshot of the product containing their user ID, in order to verify a user is an actual user of the product. Hi there! 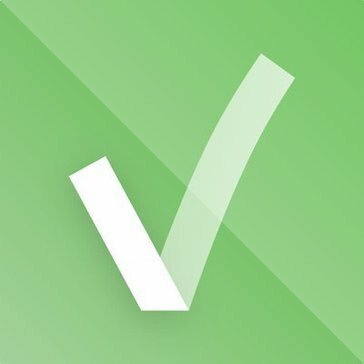 Are you looking to implement a solution like Vocabulary.com for G Suite?